We eat with out eyes first. 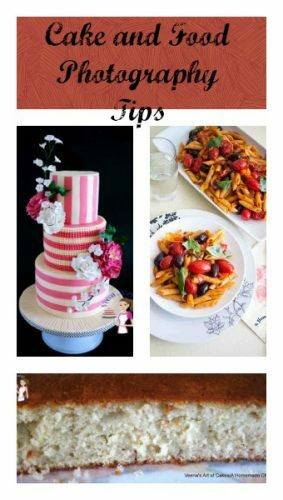 This Cake and food photography tips taking to the next level will help you add a little more to your everyday food or cakes pictures by Veena Azmanov cake artist and Food enthusiast. 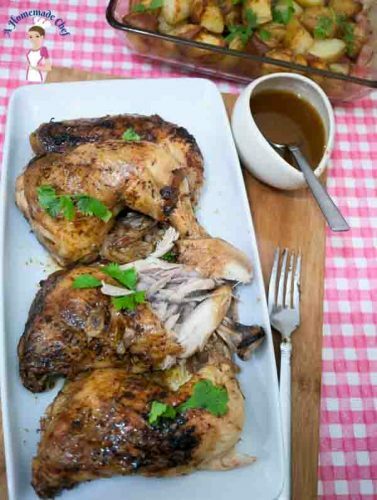 Have you ever look at a photograph of a food item and said; wow! wish I could cook something so gorgeous! Actually we do!! But, capturing food in all it’s glory is not easy especially when we are good cooks and bad photographers. That’s me talking about myself. Since I started dealing with food more professionally; I have been trying to pay a bit more attention to my photographs. Most of us are amateurs in photography because though we cook and bake such awesome food. When you click the same food, that awesomeness is not transferred. For example; Look at these cupcake pictures below. This what they look like when they are baked and decorated. 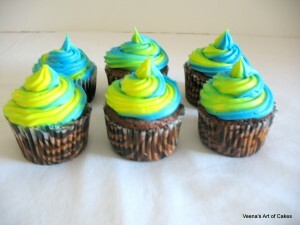 Now look at the same cupcakes. A total make over! Isn’t it? What did I do. I just dressed them up. Simply by changing the lightening, the position or using the right backdrop. 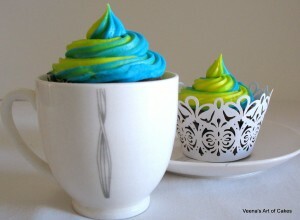 I have the same cupcakes transformed. So you see taking the same everyday food can actually look totally different when you pay attention to photography. 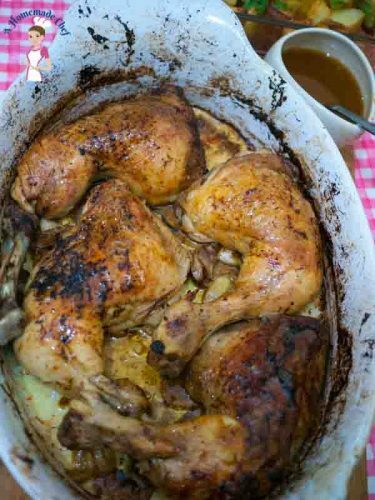 Here’s another example – See this Lemon Butter Chicken – in the baking pan -and plated. The difference is not just in photography but in appeal too. We eat with out eyes remember. Now when we say photography we don’t just mean taking the camera and pressing that button. There’s more to it. Photography is about presentation, lighting, props, angle background and backdrops. But no you do not need to be a photographer to pay attention to these details. |There photography tips are not about helping you win that photography competition – no it’s not. It’s about adding a little more to what we already know. Paying attention to details. Often I host Saturday/weekend shares on my Facebook page. I pick a theme and invite people to share their cakes. I pick the ones that receive a lot of attention to share on my wall. 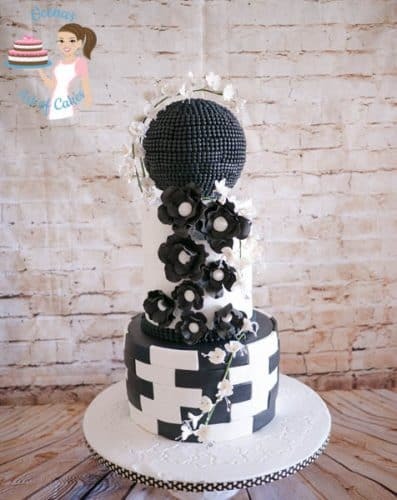 Which cakes do you think get the most attention? The ones that have been photographed well. its sometimes sad to see that some really really pretty cakes get unnoticed because they are underexposed, or have so much of clutter in the background or the angle clicked is not not right. So here are a few Photography Tips for you when clicking your next project. 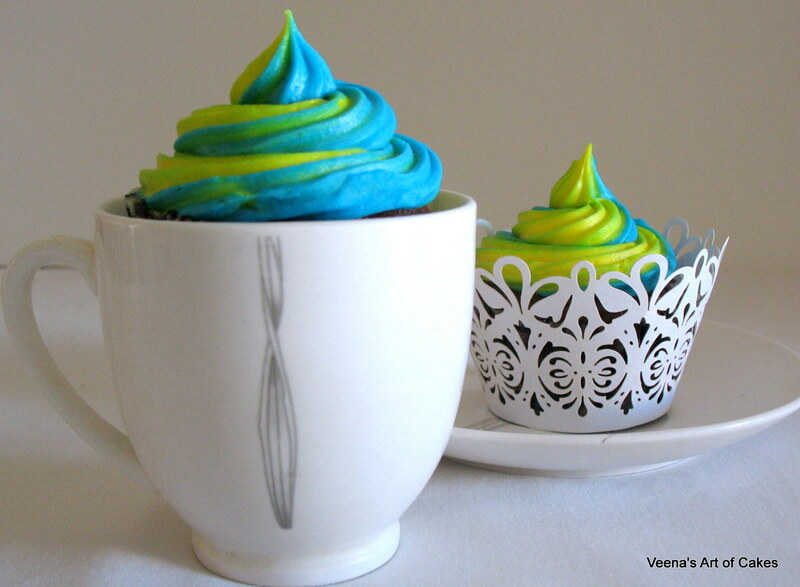 It doesn’t matter how small the cake or food item, and you don’t have to use all eight tips on every project. Or choose a backdrop that compliments the design of your cake such as blue to symbolize the sky on cakes that have a lot of greenery. 2.Use natural light – if possible use day light or shoot near a window . Use soft lighting not strong lights. Pay attention to the shadow created around your cake due to the lights. 3.Never use flash when clicking food. Instead use lamps or spot lights to enhance the picture. The use of foil and white foam core boards is a great way to reflect light. 4.Use props carefully – some times a prop can enhance a picture and sometime it can take attention away from the object. 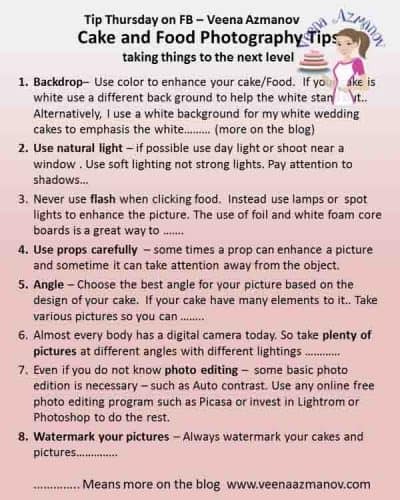 5.Angle – Choose the best angle for your picture based on the design of your cake. If your cake have many elements to it.. Take various pictures so you can collage it. If your cake has one over all design choose the best angle to enhance that design element as a whole. 6.Almost every body has a digital camera today. So take plenty of pictures at different angles with different lightnings or at different times of the day if possible—- then choose the best and delete the rest. 7.Even if you do not know photo editing – some basic photo edition is necessary – such as Auto contrast. Use any online free photo editing program such as Picasa or Photoshop to do the. 8. Last but very important – Watermark your cakes. You can watermark pictures with text or your logo. Now a days there are applications so you can put invisible watermarks meaning they make it so transparent that you can barely see it. But it’s there. You can access the whole collection of all Tip Thursdays on my Pinterest Board. Just follow me on Pinterest and request access to this board. A Few more example from my own experience. 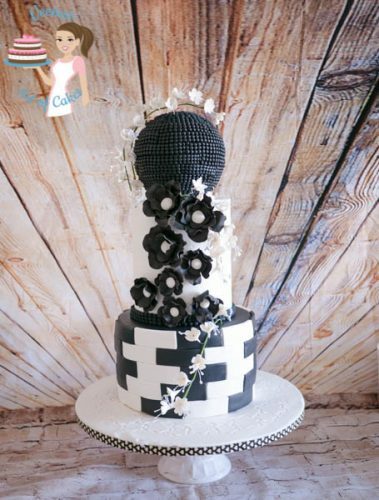 Here’s a great example of how Background and props can take away from your cake. You see the first one.. Is way too busy, the second is OK but I think a plain white or black might have been the best for this cake. 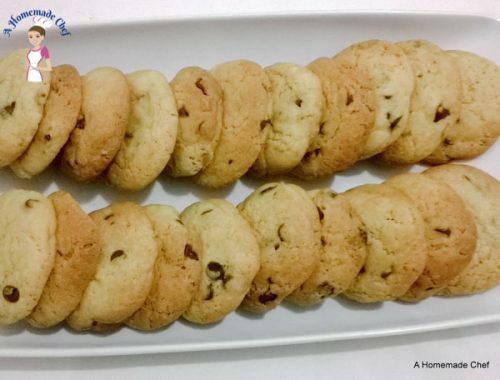 Here’another example of simple homemade Chocolate chip cookies. These are just served in a platter pain and simple white the other has been clicked with an eye for photography. Here’s a great example of bad lighting. It was way past evening so I use a table lamp and you see the lighting is terrible. Here’s an example – that you don’t need to click everything. Sometime a good picture of one single object is far better than a crowded all. 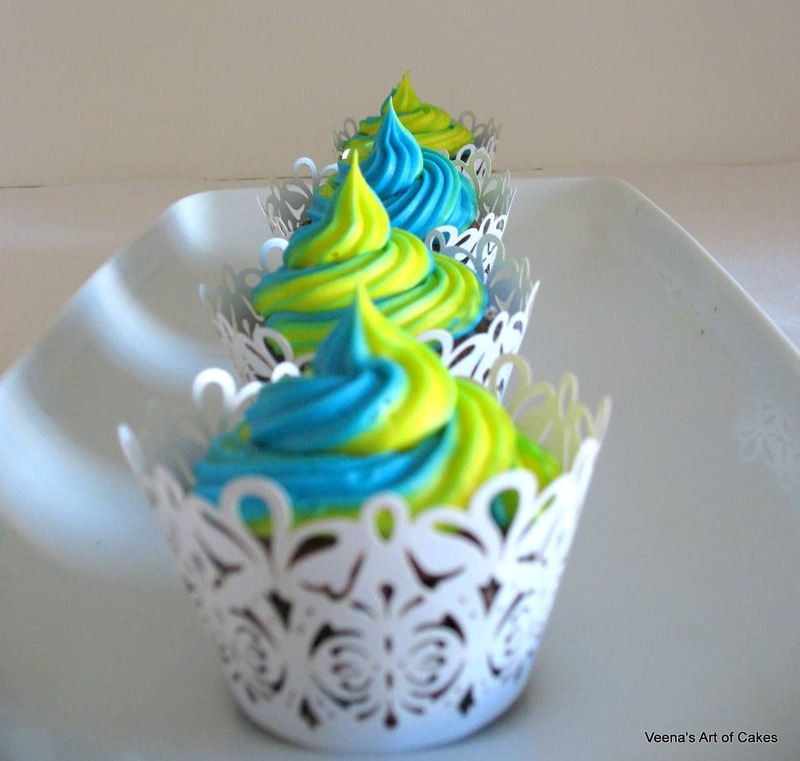 Previous Post: « Cake decorating a Profession or a Hobby?